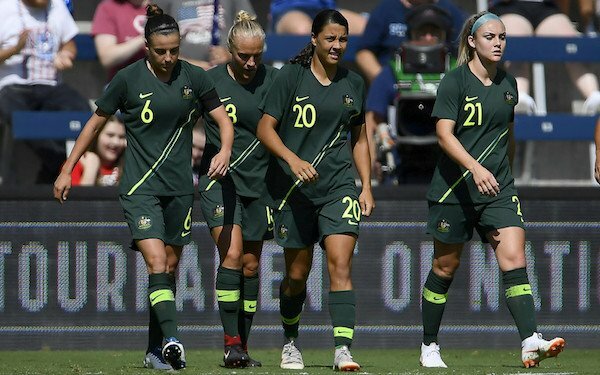 Australia's Matildas should be one of the favorites at the 2019 Women's World Cup. They will have arguably the best striker in the tournament in Sam Kerr. They have a deep team with a mix of veterans and young players. And they have done what no one other than France and England have done since the 2016 Olympics, and that's beat the reigning Women's World Cup champion USA, winning the 2017 Tournament of Nations thanks to a 1-0 win in Seattle. One small problem: Australia doesn't have a coach, and no one is exactly sure why. At a press conference on Monday, Alen Stajcic said his sudden firing was done without cause and had ruined his reputation. After a survey of players and staff, Football Federation Australia found what it described as “a poor culture” having developed around the Matildas and it fired the 45-year-old Stajcic, who had been in charge since 2014. “In 20 years of coaching," Stajcic said, "I’ve never had an issue around the culture of any single team that I’ve coached, let alone the Matildas.” The fact that there has been nothing concrete revealed about Stajcic's behavior that led to his ouster has been the most upsetting part to him. “As a father and as a person who is highly engaged in my community, that has certainly been the toughest part to take,” he said. Stajcic has received the backing of 17 players, including Kerr, who said she was "shocked and upset' by his removal and her trust had been in him to lead the Matildas to the World Cup, where she added, "I believe he was the best coach for that." Meanwhile, Football Federation Australia has not found a replacement for Stajcic a little more than two weeks before Australia hosts New Zealand, South Korea and Argentina in the Cup of Nations. The Sydney Morning Journal reported that Australian Joe Montemurro was the choice to replace Stajcic but it couldn't pry him away from his job at Arsenal in England. One of the names mentioned as a candidate for the job was Dutch coach Vera Pauw, who coached the NWSL's Houston Dash in 2018.